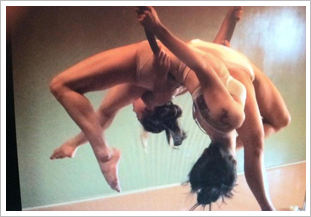 At Believe Fitness Studio, Aerial Arts classes are designed to increase core strength, Stamina, balance and flexibility. Our 8,00 square foot facility provides 14 ft ceilings and we supply our classes with five silks, three liras and four static trapezes and one cube. Our instructors are trained to assess your current fitness level and you are able progress at your own pace, allowing people of all fitness levels and body types to enjoy our classes. Through your progression we also give all of our students to showcase their talents to friends and family in our annual performances. We welcome students of all kinds. From children, teens, and college students, to workplace professionals, retirees, and professional performers! However, our classes are for all levels. No experience required. Click here to sign up for your class today!